older buildings have survived as has the old harbor area. 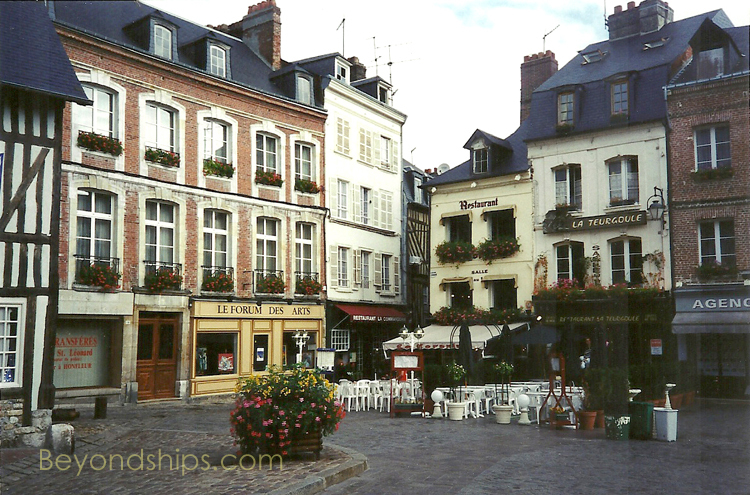 As a result, the town looks like what one would think a town in Northern France should look like. 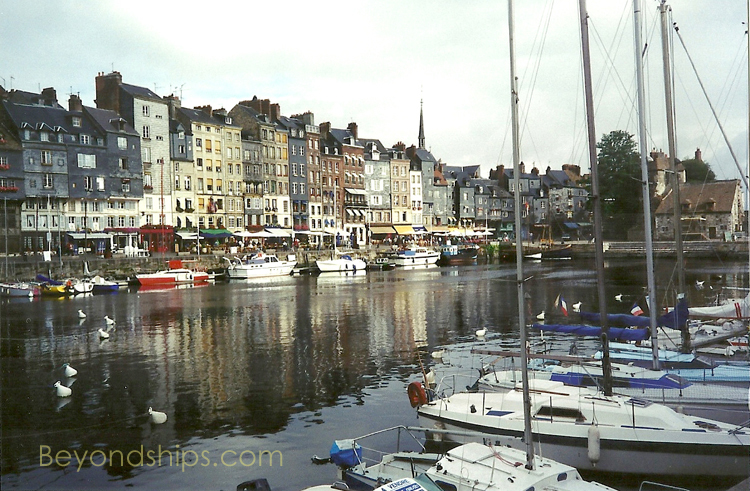 This is not surprising as the town has been painted by many artists including Claude Monet, Gustave Courbet and Eugene Boudin. 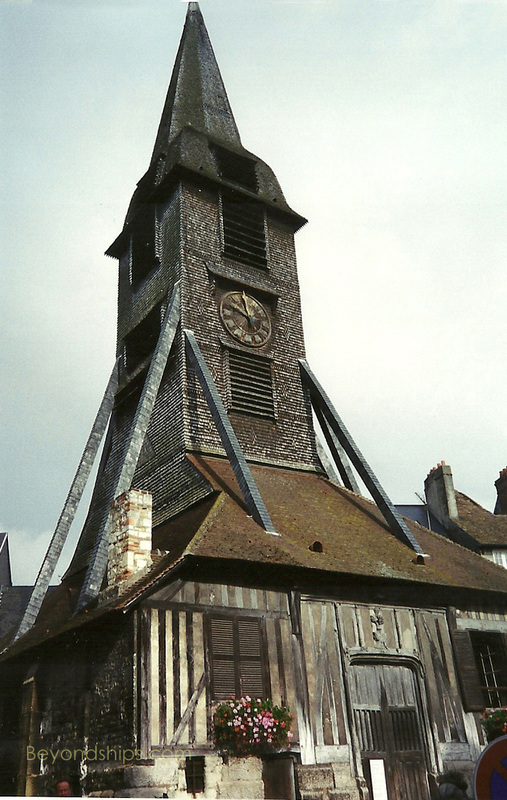 One of the most frequently visited landmarks in Honfleur is St. Catherine’s church. 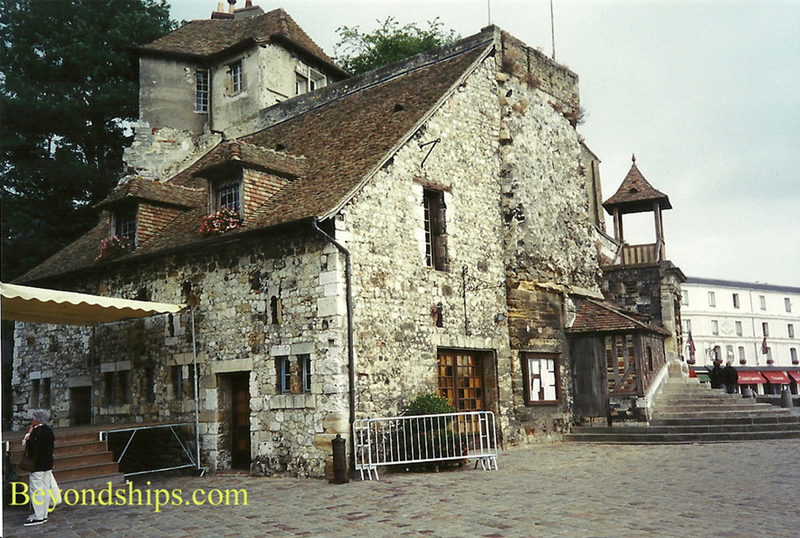 It was built in the 15th century at a time when the town was a thriving port. Since the people who built it were shipbuilders, the building's structure resembles that of a wooden ship turned upside down. 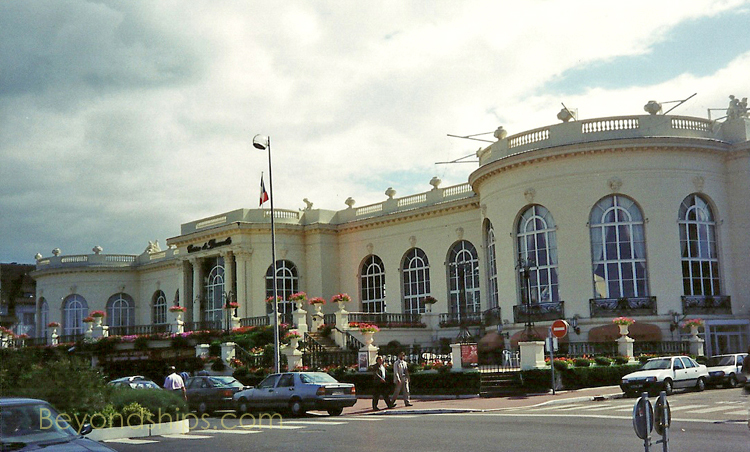 Deauville is a prestigious resort town on the “Normandy Riviera.” It has been a fashionable destination since the 1860s when Emperor Louis Napoleon (Napoleon III) brought his court to the area each summer. 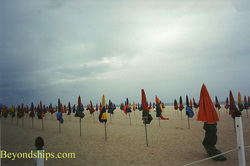 The main attractions of Deauville its casino and its racetrack and its beach. Since the town is still a resort, there are also upscale shops along its streets. 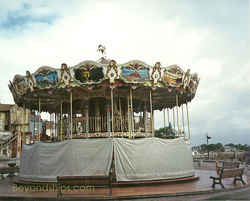 Deauville is located only about 15 km from Honfleur and so shore excursions to this area often combine both towns. visited in France. It has been the inspiration for authors and musicians and has been featured in a number of films. More recently, it has been listed by UNESCO as a World Heritage site. 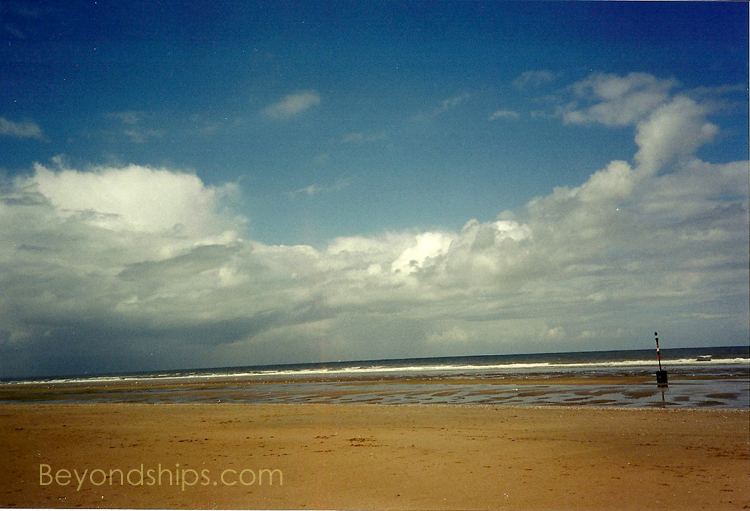 It is a tidal island located less than a mile from the mainland at the mouth of the Couesnon River. The island irises dramatically to about 92 meters above the sea. At the top of the island is a medieval monastery with peaceful cloisters and impressive views over, depending on the time of day, the surrounding sea or vast expanses of sea floor. The steep slopes of the mount are covered by winding streets and passageways lined with ancient homes, shops and restaurants. 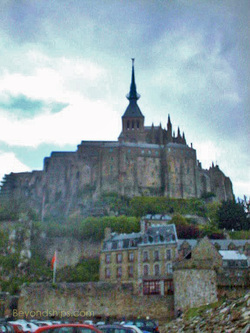 Shore excursions to Mont St. Michel tend to last most of the day as getting there involves driving both on highways and local roads. As noted above, this is a popular tourist destination and thus it can be crowded during the summer.